The American Society for the Prevention of Cruelty to Animals is in collaboration with Vans to create a new apparel, accessory, and footwear line that is to launch this month. 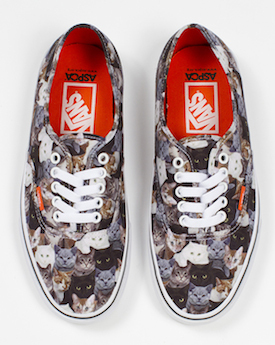 The ASPCA and Vans collection consists of hats, a backpack,a t-shirt, and footwear with cat and dog prints. We are excited for our partner, ASPCA, to be a part of this unique collaboration.